Restaurant Manager for ZAYTINYA by JOSÉ ANDRÉS<br><br><br>We are seeking Restaurant Managers to join our Team in our mission to Change the World through the Power of Food! Located in Penn Quarter right down the street from the Verizon center, Zaytinya offers an innovative mezze menu inspired by Turkish, Greek and Lebanese cuisines served up in a sleek and modern setting. <br><br><br>What we would like from you:<br><br>· Exceed guests’ expectations by providing leadership to a talented team of professionals working to create an authentic, friendly, enthusiastic, professional culinary experience paired with impeccable service and a genuine sense of hospitality.<br><br>· Be a brand Ambassador, Innovate, teach, learn, commit, grow and seek out opportunities to communicate ThinkFoodGroup’s vision.<br><br>· Effectively manage service labor, scheduling and payroll utilizing tools such as Mirus, Hot Schedules, Open Table, HARRI/ATS and Point of Sales systems. <br><br>· A passion for continuous learning and discovery by embracing an active and innovative approach to expanding your knowledge of food and beverage.<br><br><br><br>What you can expect from us:<br><br>· Competitive Pay with a performance based bonus<br><br>· Paid Medical, Dental, Vision, access to 401K and even pet insurance!<br><br>· 50% off food at any of our restaurants<br><br>· Parking or metro expenses<br><br>· Flexible Schedules<br><br>· Fun, Dynamic, Innovative atmosphere<br><br>· Education Assistance/Tuition Reimbursement<br><br>· Career Advancement opportunities<br><br><br><br>Who we are:<br><br>ThinkFoodGroup restaurants span across America including Miami, LA, Las Vegas, Puerto Rico and of course Washington, DC. Since 1993, our restaurants reflect the authentic roots of each concept, and showcase José's passion for telling the stories of a culture through food. Apply now and join JOSÉ ANDRÉS and his industry leading ThinkFoodGroup Team.<br><br><br>Please feel free to email us directly at;<br><br>jobs@thinkfoodgroup.com<br><br><br><br>ThinkFoodGroup is an Equal Opportunity Employer and participates in the federal government E-Verify Program. 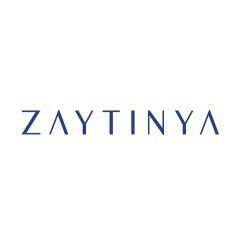 Zaytinya is posting their hospitality jobs on Harri.